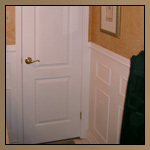 Wainscoting Panels - Decorative Wood Paneling This decorative maple wainscoting application was part of a custom wine cellar build that can also be viewed in the Cabinetry sections. 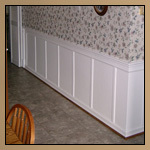 It blends solid panels with recessed paneling on both sides of the room. 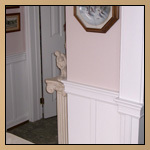 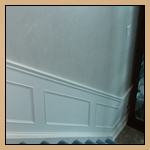 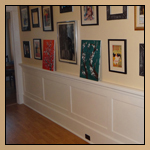 Solid maple crown moulding, baseboards, and custom milled trim such as the chair rail were used throughout the room. 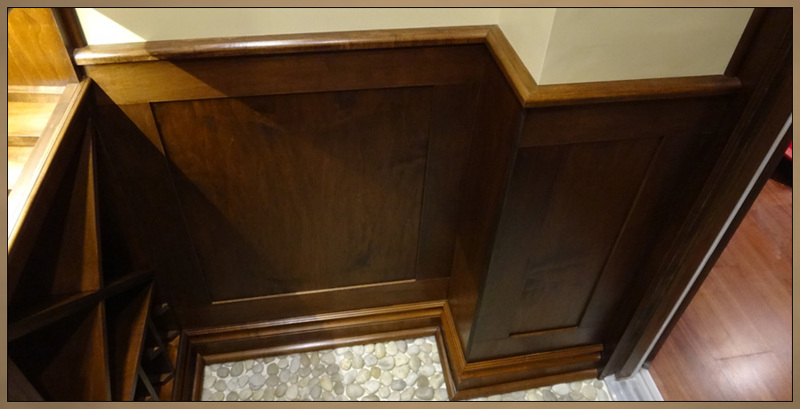 Everything is tied into the custom wine rack cabinets. 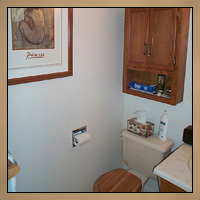 Note: The quarter rounds were not installed at the time of this photo due to the floor that was still setting. 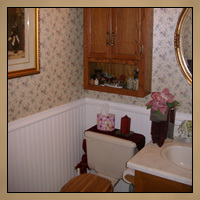 They have since been installed.